ABUJA – NIGERIA’S anti-corruption agency has arrested 15 suspects for allegedly swindling American nationals through internet fraud and romance scams. The Economic and Financial Crimes Commission (EFCC) arrested the suspects aged between 21 and 35 years during a raid in the city of Ibadan in the inland Oyo State. unsuspecting victims. 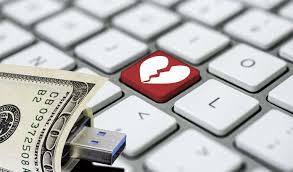 Others were allegedly engaged in romance scam on dating sites. “The suspects are already helping operatives with useful information. They will be charged to court after thorough investigations,” Tony Orilade, EFCC spokesperson, said. EFCC operatives recovered some exotic cars, laptops, mobile phones and a bag containing items suspected to be fetish objects (juju) as well as international passports and ATM cards. Five of the suspects allegedly claimed to be university undergraduates while others said they were self-employed. They mostly operate advance-fee scams. The scam typically involves promising the victim a significant share of a large sum of money, in return for a small up-front payment, which the fraudster requires in order to obtain the large sum.